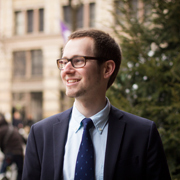 As a social media and content marketing consultant, Brian Honigman helps business leaders become better storytellers, deliver superior content, and connect with their audiences. Today this masterful marketer reveals his winning approach to content creation and distribution, how to sniff out SEO scammers, and why social media (if used correctly) can double your business. The power of content marketing for emerging businesses. Why a balance of data and intuition makes for a solid content strategy. How to avoid the SEO hype and think beyond the buzzwords. Why social media and content need to align with your business objectives. Brian Honigman is the CEO of Honigman Media, a content marketing consultancy that provides strategy on content distribution and content production. He’s worked with a range of clients from growing startups like Sumall and Amerisleep to established brands like Thomson Reuters, Marc Ecko and People Magazine. As a consultant for both content marketing and social media, Brian is a regular contributor to the Wall Street Journal, Forbes, Entrepreneur and others. He is also a frequent professional speaker at industry conferences and company events about social media, content marketing and related topics. He has spoken at UNICEF, NATO, HuffPost Live among others. Brian is also an adjunct professor in marketing at NYU’s school of Professional Studies. Are you prepared to handle the biggest challenges faced by business owners? Don’t get blindsided by problems that other talented leaders have already solved. We’ve teamed up with Dr. Hector Lozada, Professor of Economics at Seton Hall to survey business owners ranging from start-up founders to seasoned CEOs. What came out of it is a cheat sheet for sidestepping the roadblocks, bottlenecks, and challenges that plague your colleagues and competitors.